Le Ainslie NicCoinnich – Bha na clasaichean Gàidhlig S1, S2 is S3 an sàs ann am pròiseact air an 5mh den Chèitean. ‘S e pròiseact Gàidhlig a bh’ ann a thug fad latha sgoile agus anns an robh sinn a’ comharrachadh 25 bliadhna de fhoghlam Gàidhlig. Bha na sgoilearan a’ ceasnachadh dhaoine a bha nan deugairean iad fhèin anns an sgìre seo is a’ faighinn a-mach ciamar a tha an cànan agus an dòigh-beatha air atharrachadh thairis air na bliadhnaichean. Chaidh an latha glè mhath le tòrr dhaoine a’ gabhail pairt. Tha sinn ag iarraidh taing a thoirt do na daoine a bha deònach a thighinn a-steach is a fhreagair na ceistean aig na sgoilearan. By Ainslie MacKenzie – The Gaelic fluent classes in S1, S2 and S3 took part in a project on the 5th of May. It was a Gaelic project that lasted the whole school day and in which we were celebrating the 25 years of Gaelic in Highland schools. The pupils questioned people, who were once themselves, teenagers in this area and found out how the language and the way of life have changed over the years. The day was very successful with a lot of people taking part. We would like to thank all the people who were willing to give up their time to answer the pupils’ questions. S1 Religious and Moral Education – Both first year classes visited Gairloch Church of Scotland as part of their ongoing coursework. They met with Rev. Derek Morrison who gave them a brief outline of the history of Christianity, both globally and in the local area, and told them about the history of the church building. He then outlined the usual format of a service, before letting them explore the building. The pupils enjoyed their trip and appreciated Rev. Morrison taking the time to talk to them. Basketball – On the 12th May the school played host to visiting basketball teams from Plockton High School. One female team and two male teams, composed of S1 and S2 pupils, were pitted against corresponding teams from Gairloch High. All six of the games played were fiercely contested, but neither of the Plockton teams was a match for the Gairloch boys who showed great skill and determination in all of their matches. The Plockton girls fielded several talented players and the Gairloch girls struggled initially keep them in check, however, by the end of their second match the local girls were starting to have an impact on the visitors. All of the matches were a pleasure to watch and it was agreed that the respective PE departments and Active Schools Co-ordinators would foster further joint sporting fixtures between Plockton and Gairloch. Thanks to Strath Stores for providing fruit for the players. Their support for school basketball is much appreciated. Thanks also to the following staff: Mr. Johnston, Mr. Gorman, Mr. Milner, Mrs. Hildrey & Dr. Shearer. S1 Nethybridge – By the time this is published S1 pupils and several staff will have been at Nethybridge for a week of teambuilding activities. Check out the website here for photos. On their return pupils write about their experiences in English class. Here is a brief extract from last year: Have you ever ridden down a very steep hill (on a bike), through a snowstorm, and across a massive river at the end? It is a rather exhilarating experience. Read more by clicking here (Catherine Wyatt – Nethy2010 pdf)..
SMART Art – For their last SMART lesson before going to Nethybridge and then beginning their new timetable, the whole of S1 accompanied Ms. Gulliver, Mr. Milner, Mr. Johnston and Mrs. Fraser to Slattadale on Friday. 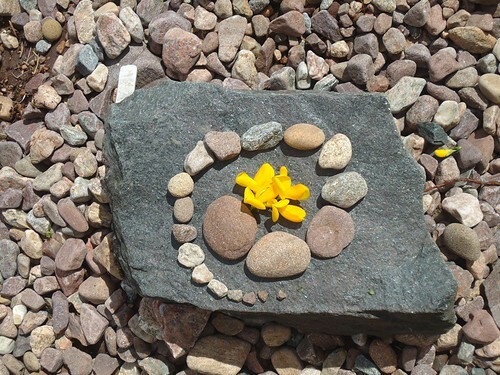 For the past few weeks in their Art classes, they have been studying the work of Andy Goldsworthy, an English sculptor and ‘land artist’ who works exclusively with natural materials to make his creations. So, armed with an understanding of his work, S1 pupils searched the woodland, stony beach and grassy banks for suitable materials and set about making their own sculptures, all within about three-quarters of an hour! There were some impressive results and a few of these can be seen here. Malawi Link – Towards the end of last term we received some photographs from our link school. These are the first they have taken themselves and sent to us. A selection of the photos is on display on the board outside the library. Pupils and staff have recently been writing letters to their penfriends and colleagues in Malawi – this time these have been on the theme of “my family”. 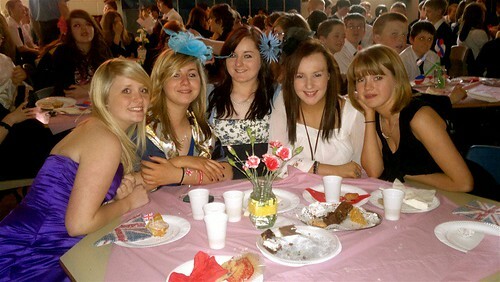 S6 Leavers – On 11th May the current S6 had their last full day in school. The group accompanied by Mr. Port and Mrs. Whall travelled to Inverness for a bowling trip. In the evening all the pupils in S6 along with some staff went out for a meal at The Shieling. It was a very enjoyable day for all concerned and a fine end to the year for a very decent bunch of pupils. Read more here and see photos of the day. S3 Duke of Edinburgh’s Award Expedition Training – On Friday 13th May sixteen S3 pupils set off, after school, along the Slattadale track from Poolewe. In deteriorating weather conditions the groups arrived at Slattadale and set up camp around 8pm. 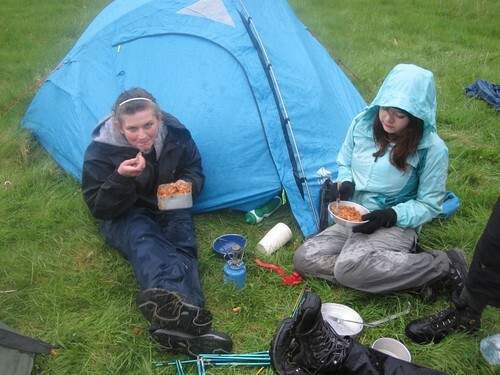 While tents were erected and dinners were cooked on stoves the rain got heavier and heavier. The pupils did very well to maintain their cheery manner while tired and wet. Once they had eaten, the comfort and warmth of sleeping bags beckoned. The pupils returned to the school on Saturday morning in fine spirits – no doubt looking forward to returning home after their trip. The same pupils will soon be out again in preparation for assessment prior to the summer holiday. Prior to that they will each undergo a day of First Aid training in preparation. Photos are available of this trip here on the website. Thanks to Miss MacAllister, Miss Dean, Mrs. Wahll & Dr Caley for organising and supervising the trip. Important Dates – Click here for school dates. Parent Council Ceilidh – This is advance notice of a school fund raising ceilidh, to take place in the Community Centre on June 11th between 7pm and 10.30pm. Dance music will be provided by the Gairloch Ceilidh Band, and musical entertainment will be provided by pupils and teachers from the High School and Associated Primaries. Food – prepared by the Parent Council – will consist of delicious stovies and chilli, followed by shortbread with tea and coffee. Tickets cost £6/£3 with a Family Ticket of £15 (2 adults and 2 children). They will be on sale at the school office and at Cornerstone. There will be also be a raffle at the interval, and we are still looking for donations of any suitable raffle prizes – please hand anything you would like to donate, in to the school office. Whether parents, member of the community or visitors to the area, please support the High School by coming along to, what we expect will be an enjoyable event. Parent Council Meeting – During the Easter holiday the Gairloch High School Parent Council met with Councillor Richard Greene and Councillor Drew Millar, Vice-Chair of the ECS Committee. They listened to grave concerns expressed by parents about the cuts being imposed on the High School. Mr Millar explained that all schools were suffering the same cuts and while he sympathised with the community, the Council had to expect services to be within budget. Members of the Parent Council made it clear that they understood about budgets but felt that such decisions were based on criteria that damaged the viability of small rural communities and harmed the education of our children. Members of the Parent Council have no plans to give up their efforts but felt that the councillors were better informed by the end of the evening. Whole School Photograph 2011 – In perfect weather staff and pupils stepped outside on the morning of Wednesday 27th April in order to be captured on film. We are all looking forward to seeing the result! The last school photograph was in 2007. Open University Success – Katrina Port (S6) has passed an Open University Course in Digital Photography. This was one of a selection of Open Learning Courses offered to S6 pupils this session to extend the available options of study. RYLA Interviews – Last year Kim Watson was successful at interview and invited onto a Youth Leadership Award paid for and arranged by Dingwall Rotary. On the basis of her success the Rotary asked us to put forward more candidates this year for one possible place. Kirsty Alexander, Carianne Johnston and David Gorman were each interviewed. The Rotary was so impressed that they have decided to sponsor Kirsty and David. Carianne has been put on a reserve list. This is a great reflection on the caliber of our pupils and should be an exciting opportunity for Kirsty and David. Music Exam Success – Several pupils have achieved success recently in external music exams. Very well done to each of them! Ceitidh Alice Hulme – Grade 3 Violin, Freya Baptist – Grade 3 Violin with Merit, Eilidh Owens – Grade 4 Piano, Rebecca Griggs – Grade 4 Violin, Oscar Howard – Grade 5 Violin with Distinction, Ella McDonagh Grade 5 Theory with Merit and Sophie Donald Grade 5 Theory with Distinction. Culture Club & Shakespeare – Despite the fact that S4, S5 & S6 pupils are preparing for approaching exams, Culture Club will be continuing to run in a restricted form during this term. On Tuesday 26th April, two intrepid S3 pupils accompanied Ms Gulliver to Inverness to see a film version of The Tempest. We all really enjoyed it. Perhaps Shakespeare purists would not have been impressed but we found it very accessible with some fine acting by Helen Mirren and Tom Conti, spectacular special effects and even a bit of humour from Russell Brand! 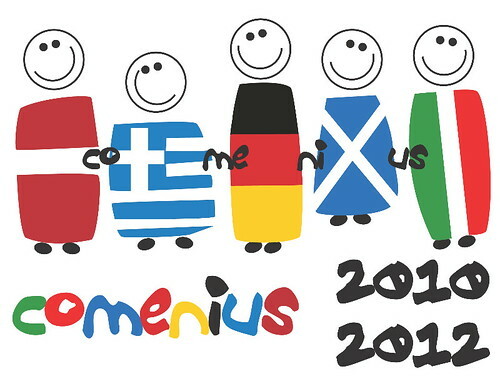 Comenius Partnership Trip – April 2nd– 8th 2011 to Lehre, Germany – Guten Tag! We had a fantastic time on our trip, made a lot of new friends from Germany but also from Latvia, Greece and Italy. We learnt interesting facts about the history of Germany after the Second World War. Some of the highlights of the trip for us were a visit to Braunschweig, with its mediaeval buildings, seeing a portion of the East-West Wall which separated Germany until 1989, and the great party on the last night when everyone made food from their own country. Our Scotch broth and Crannachan went down particularly well! Text provided by Sarah, Gemma, Becky and Becca. Click here (Next Stop Scotland) and here (Zum Abschied gibt es ein) to see German newspaper articles about the upcoming visit to Scotland. Click on the picture above to see lots of photos from Germany! Study Club Easter 2011 – Over 50 pupils from S4, S5 & S6 along with 9 teachers met together during the first 3 days of the holiday for Easter Study Club. As usual, the relaxed atmosphere was appreciated by all and buoyed up by excellent lunches from Strath Stores a great amount of productive work took place in preparation for the forthcoming SQA exams. Swimming Gala – At the beginning of April 74 pupils took part in the Swimming Gala. Thanks to the organisation and the enthusiasm of the participants the event was a great success. Tollaidh finished 3rd getting 5 house points, Kerry 2nd gaining 10 house points and Maree 1st earning 15 house points, Well done Mrs. Hildrey and everyone involved. 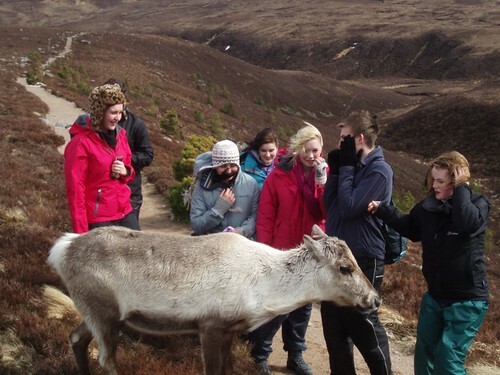 Geography Trip to the Cairngorms – In the last week of term, our Higher and Intermediate 2 Geography class went on a fieldtrip. On the first day we talked to a Ranger about how the Cairngorms National Park is managed and we went on a walk to identify glacial features. The wind was too strong to go on the funicular as planned, but it made for an exciting walk and we went up the funicular the next day. We came across a really friendly herd of reindeer, which let us stroke them. On the second day, we also spent some time in Inverness looking at how land use has changed. Thanks to Miss Dean and Mr Hulme. Text by Kassie Forder and Iona Proudfoot (both S5). Click on the photo below to see more images. Study Leave & SQA Exams – S4 have already started their exams this week. S5 and S6 exams will also be on study leave shortly. Higher Grade Exams begin on the 13th May.